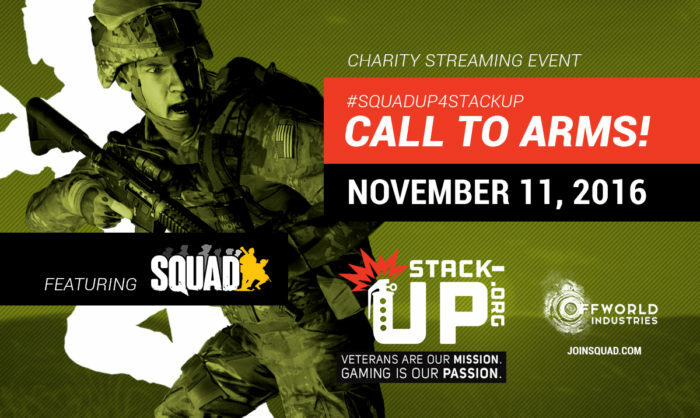 Stack-Up.Org Charity Stream : Squad – Communicate. Coordinate. Conquer. Veterans Day is coming up, and we wanted to do something with you for the occasion! We’re going even deeper into our recent partnership with Stack-Up to bring you a full day of prizes, live streams, competitions, a chance to chat with developers, all while helping out veterans. So November 11, make sure you’re around for the Squad Up for Stack-Up Call to Arms Veterans Day Weekend Fundraiser. We’ll be kicking things off at 12:00 PM PST and running until about 7:00 PM PST. The Squad Development team in conjunction with our streaming partners and developer friends are teaming up for the extended charity drive and hope we can entertain you enough that you’ll join us in supporting active and retired soldiers through video games. Over 40 streamers will be attending. Here’s the merch store announcement, just in case you missed it. The Squad community has always been something were proud of – you’ve always had our backs and stuck with us through good patches and bad patches. With the coming release of Alpha 8 we finally feel like we have something we are really proud to show off to the greater gaming community. In conjunction with our Alpha 8 release and our November 11th Charity event, Squad will be running its first ever Steam free weekend from Thursday November 10th at 10AM PST (5pm GMT) to Sunday November 13th at 1PM PST (8pm GMT). This will be a great chance to finally pile all your skeptical friends into the game and squad up. We are extremely excited for this event and have been waiting a long time for it. 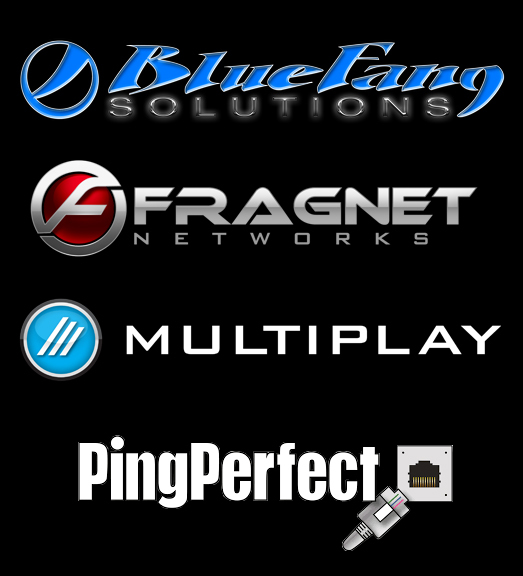 You should expect a variety of surprises coming your way along with the free weekend and working with our partners Bluefang, Multiplay, Fragnet, and Pingperfect, we are prepared to have a cluster of extra servers ready for the influx of new players. Please help us in welcoming them and helping people through their first trauma inducing RPG hits. We’ll be hosting this party from the Offworld studios, where some of our developers will be playing the game with you, streaming, and having a blast. Streamer/Developers VS Streamer/Developers: 72 man battle royale! Developer Question and Answer live on our Squad twitch stream. The Squad community is filled with veterans of all generations and we are very fortunate to have the opportunity to play our game with them on a regular basis. They’ve become the backbone of many of the best communities and clans and we greatly appreciate their passion for Squad. We have four of our own who have served in various roles for their respective militaries and it is the least we can do to show our commitment to them as developers and partners. Our hope is that by becoming a fundamental pillar of Stack-up, Squad and its community can start to effect change on a larger scale and encourage others to do the same. On November 11th, we hope to see you at the charity drive to support Stack-Up and honor all our brothers and sisters in arms.